Choosing a Domain Name for Your Blog. - CarseNoodle :: A Blog About Blogging And Earning Money Online. Home > Blogging > Choosing a Domain Name for Your Blog. Choosing a Domain Name for Your Blog. 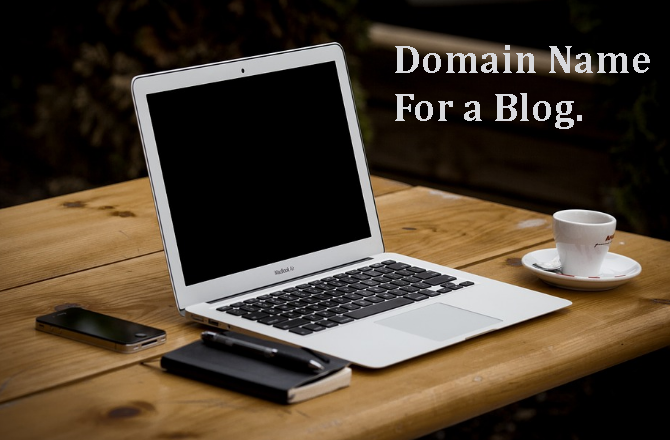 Domain name is the address for your blog. Visitors have to put your name as the address on their browser URL field to visit your blog. It's your blog's online identity. Choosing the right domain name is important to get the popularity of the blog. Also, helpful for SEO. While choosing the domain name to think about all the factors of the site. Think about a name that is relevant to your niche. Using keywords as a domain helps so much on the SEO of the site. Thus, try to find a keyword related to your niche with less competition and still available to register a domain name. This is only as an advantage. If you don't find a domain name of such words then try to find a word relating your niche. The main purpose of the blog is to make it famous. Hence, do everything that helps your site or blog popular. Keep the Name easy to pronounce and remember. The next property of your new domain is it should be an easy word. Your domain name should easy to pronounce or read. And, in the meanwhile, it should also easy to understand. Doing this will help you get more returning visitor. Many times after visiting your log people forgets to bookmark it, and it is hard to get subscribers to a new blog. If your name is easy to remember then people who liked your blog a little at the first visitor finds something they were searching will visit again using the name. This will happen only if they can find your blog without much effort. Because of the popularity of the search engines, people don't like hard works. They only tend to search the keywords they remember on the search engine. Choosing a catchy name is a click bait but it is effective. If your name is catchy enough then you can get more visitors. Also, try to use this during the titling of the blog posts. Keep it short as possible. Keep your domain name as short as possible. people are lazy to type long domain names into their browser to visit a site. Nobody likes to type a name like bloggingideasfornewbiesdotsomething to visit a new site, else they will visit the site bloggingideasdotsomething. Use the online domain name generators. This suggestion is not you must do a suggestion, but I like it. Using an online domain name generators helps a lot in finding a new domain name. I am not providing any such tools name. but you can find a lot of them searching on google with a single search term, "Online Domain Name Generator". They are free, so take the advantage. You have to put some keywords in the search bar related to your niche. And, the name generator will generate some good and short domain names and availability status. Take a note down and register the domain name you like the most from the domain best domain name provider. These are the basics of searching a domain name. If you got one domain name and registered it, now you can move to the next step, that is designing your site or blog. Choosing the Topic or Niche of your Blog.